Mark Zuckerberg will be grilled by European lawmakers at 12 p.m. ET on Tuesday. The Facebook (FB) CEO is meeting European Parliament's political group leaders, as well as lawmakers from its justice committee. He is likely to face questions about privacy and the Cambridge Analytica data scandal. Privacy has become a big issue in the European Union: On Friday, the European Union will start to enforce a sweeping new data protection law that will give consumers much more control over how their personal details are used. European lawmakers will likely seek assurances that Facebook is ready for the new rules. Tuesday's action starts with a brief meeting between Zuckerberg and the parliament's president Antonio Tajani. At 12:20 p.m., Zuckerberg will face a bigger group of lawmakers known as the conference of presidents to answer their questions. The questioning is set to last for about an hour, and will be streamed live on the parliament's website and CNNMoney. It is the first time that a meeting like this will be available for the public to watch. Tajani and Zuckerberg originally agreed for the meeting to be held behind closed doors. But that decision has sparked huge wave of criticism from other parliamentarians, voters and European officials. Under pressure, Zuckerberg then agreed to a web stream of the questioning. 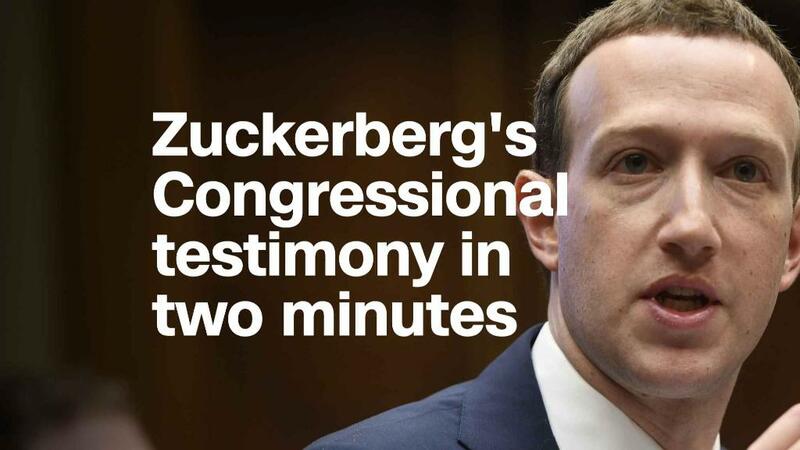 Tommy Stadlen, the co-founder of Swing, said that although the hearing may not attract as much attention as Zuckerberg's appearance in Congress, Facebook has more at stake. "European regulators tend to move faster and harder than their US counterparts when it comes to big tech," he said. European Parliament usually doesn't get this level of attention. Even most Europeans are not quite sure about the parliament's role and powers. Only 42% of voters turned out to vote in the parliament's last elections in 2014. There are 751 members of parliament, representing the 28 EU member states. Although it has the power to propose new European laws and to oversee European Union's budget, the main political force in the European Union is the European Council -- the body formed of the member states' heads of state.